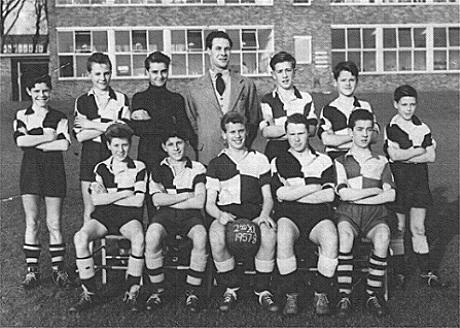 Back row left to right: John Price, Brian Moules, Dudley Farleigh, Mr Swain, Michael Vaughan, Michael Cowan, Tony Dicker. Front row left to right: Dave Thompson, John Lyte, Michael Harris, Peter Biggs, Howard Bowles. Do you recognise yourself or anyone else? Do you have any memories you can share with us? Please post a comment below.